Camp for €18,- a night at Campsite Le Fief Angibaud in low season with CampingCard ACSI. 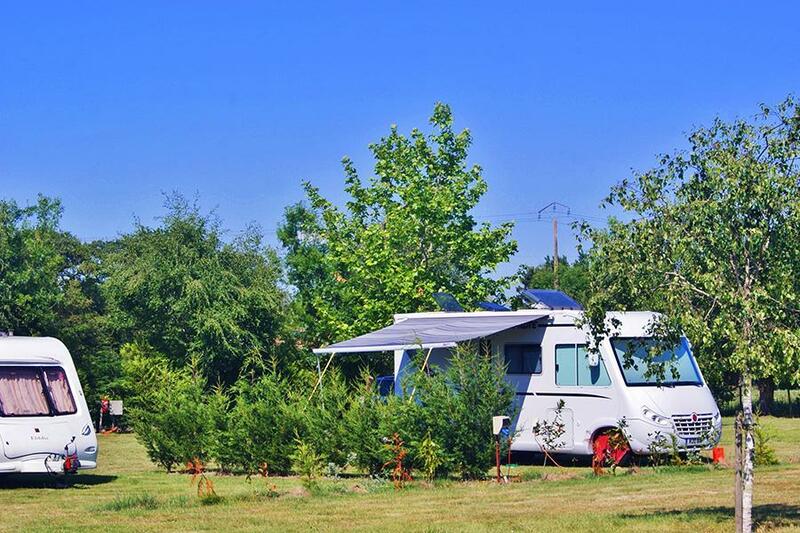 Campsite Le Fief Angibaud, located in Saint-Gervais (Vendée), is a campsite with 25 touring pitches. With your CampingCard ACSI you can camp on one of the pitches during the following periods: 04-05-2019 - 13-07-2019 and 30-08-2019 - 08-09-2019. At this campsite you can not only use your CampingCard ACSI for inexpensive camping, you can also use your ACSI Club ID (as an alternative ID). Rurally located campsite with very spacious pitches on open fields. Very quiet. Plenty of walking and cycling routes, and a great place to enjoy the natural surroundings. Not far from the sea and the oyster fields. English owners. Prima kleine camping, met hele grote plaatsen op 2 velden. Niet al te druk. Sanitair prima. Wij hadden onze fietsen mee en veel in de directe omgeving gereden. Veel fietspaden op het eiland Noirmoutier en aan de kust (op 20km). Dorp met basic voorzieningen (bakker en traiteur) op 2,5 km. Supermarkt 5km. Would you like to book Campsite Le Fief Angibaud or request more information? You can do both using the information below. Campsite signposted 2 km north of St. Gervais on the D59 . CampingCard ACSI will send your information request to "Campsite Le Fief Angibaud".